Develop a draft extended coastal flood hazard overlay district for the Town of Durham. Work with the Durham Leadership Team to develop an extended coastal flood hazard overlay district, which would apply higher standards for building freeboard height and other provisions to lessen vulnerability of new buildings and facilities to flooding due to sea level rise. This effort would build off past and existing efforts, including the Durham Climate Adaptation Chapter and the C-RiSe vulnerability assessment. 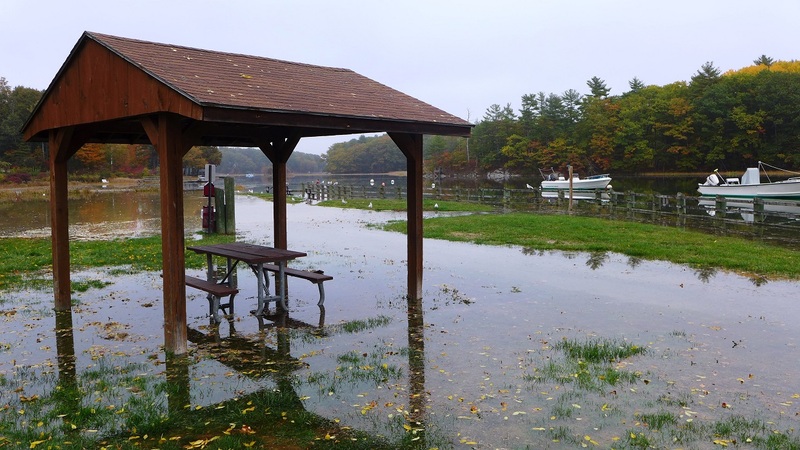 This work supports Objective #1 of the NH Section 312 Metrics regarding creating informed and resilient coastal communities and Objective #2 of the NH Section 312 Metrics regarding the reduction of future risk and damage from coastal hazards.